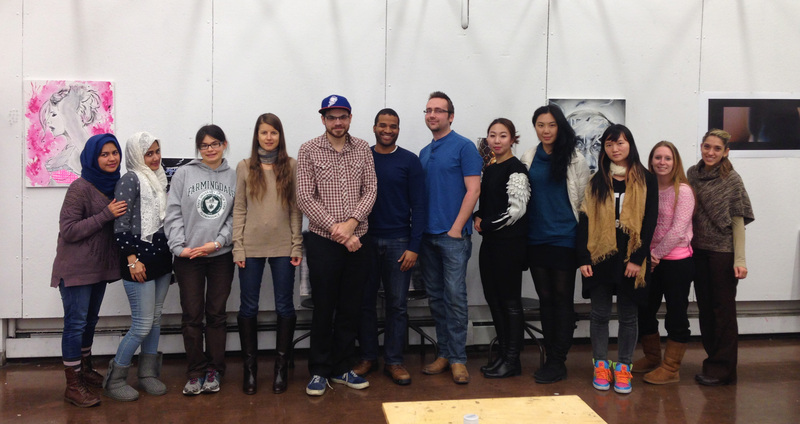 On Tuesday 11/18/14 conceptual NYC Artist Martynka Wawrzyniak was our guest in professor Ryan Seslow’s MFA / MA ART 550 Art Criticism for Artists class. Martynka gave a presentation of her current work, discussed the works of each student and shared insight on being an artist. Please share your reactions on the presentation. You can also share your feelings on the critique that you received about the selected work that you brought to class. In class on 10/7/14 we will be exploring thesis writing inspiration and potential models for formatting. In class we will be broken up into two groups to generate a collaborative project. Concept creation, art making, documentation, presentation and discussion will be emphasized.